It kind of feels counterintuitive that you get to save somebody else's life or the destiny of the whole world so many times. But it also feels a bit addictive and you don't want it to stop. Reveries: Sisterly Love Collector's Edition is a place where you get to rescue your sister's soul. The game's mechanics are pretty standard. 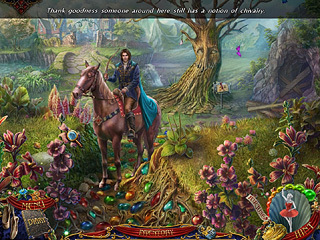 You do have many hidden object scenes that take several different forms and are pretty interactive. You play as somebody who lost her sister because she wanted to protect you and so she sold her soul to a witch. But now you are a grown up and you are willing and able not only to protect yourself from a witch but also rescue your sister's soul before it's too late. The game's landscapes are very beautiful and colorful and whimsical. You will meet many different creatures in this wonderful world. It really looks like a fairy tale. Even though, the reasons to be there are not that great, but it is actually enjoyable to go through this adventure. The game's mechanics are pretty standard. 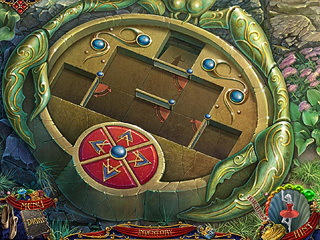 You do have many hidden object scenes that take several different forms and are pretty interactive. There are also different puzzles to solve as you go through the game. Most of them are pretty easy but are very relevant to the story. There are also different iventory items that you need to find and collect and they get to be very helpful as you try to get your goal in this game. The game is really worth of your attantion if you a fan of the genre. Try the free version to make sure it fits your taste. This is Reveries: Sisterly Love Collector's Edition review. Download this game here.